Okay, I’ve been sadly neglecting this little author blog … and I made the big announcement of my newest project on my author Facebook page. Guess that means you heard it here second, not first. Oops. My author blog is sadly under-utilized. April is Camp NaNoWriMo month, and I’m using it as the push I need to FINALLY finish editing Beth & Cody’s story, Trouble in Paradise. 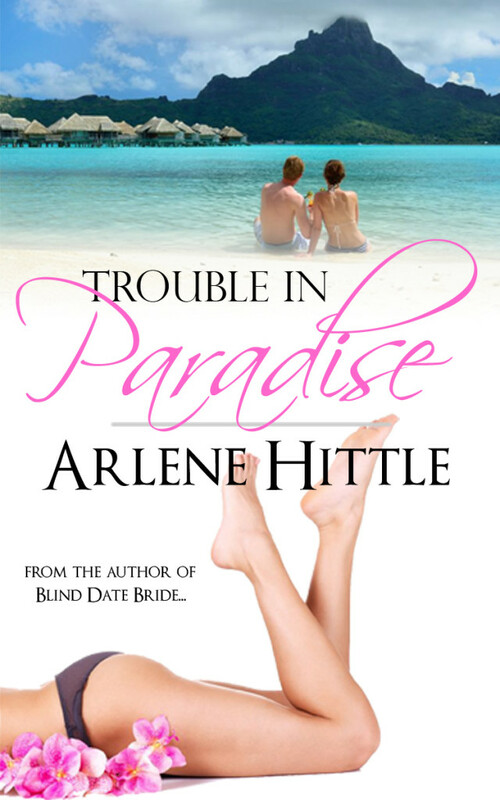 Trouble in Paradise is the second of my Reality (TV) Bites books, detailing what happens to the best friends of Kari and Damien, the reluctant heroine and hero of Blind Date Bride. You might remember them as the couple who got more wedding-night action than the actual bride and groom—and the reason poor Kari and Damien were chosen as grand prize winners of Romance TV’s “Get a Love Life” contest. Beth, convinced that Cody is losing interest in their relationship, coaxes him to apply for the network’s latest reality show, Invitation to Sin. Cody agrees—only because he’s sure they don’t have a chance in hell of getting chosen. But they do get the nod…and Bethany soon wishes she’d never considered putting their relationship through Romance TV’s crazy tests. I finished the first draft several years ago but am only now diving deep into edits. The goal is to have it ready to go by the time I appear at the Payson Book Festival in mid-July.